As an administrator on the Joomla! Facebook group, a while ago I saw that a member posted that he had clicked to update his site and it was broken. 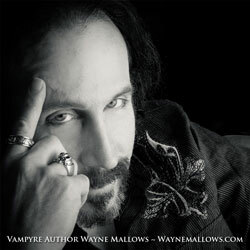 What could he do to get his site back? I recommended that he restore his last version of Akeeba Backup. It was then that I found out that he hadn't done a backup. In fact he hadn't done a backup for quite some time. This wasn't a new user. He was well experienced and had just forgotten. Which brings me to the point of this article. Since the first day we all sat down at a computer, we have been taught to save, save, save! And, no doubt, we all know well, the sick feeling when we have been hard at work and, due to a crash or power failure, we lose our work. We have all been there many times, I'm sure. Before you do any update, install a new version or, as I do after I complete any work on a site, I take a moment and do a backup. I can't count the number of times this simple action has saved the day. It is just a good practice. Things happen even if it is us making changes that just don't work and we want to go back and start over. You should also have a test area set up so that you can test your backups. Changing hosts? Take your Akeeba Backup and load it on the new host and restore. Change your domain name server settings at your domain supplier and away you go. Easy right! Keeping all your extensions up to date is also important. An out of date extension is a potential security risk to your site. Over the last several months there has been a huge increase in hackers trying to gain access to sites. They try your login (and other means) and hope you don't have a secure password. You have a secure password right? Right?! "But there are so many and they are hard to remember", you say. There are so many password apps out there I can't begin to list them all. KeePass2 is a good system even if the interface is a little dated. It is also free but in the spirit of making sure the programmer keeps those updates coming, it is always good practice to donate to help keep the coffee flowing. I don't share this to frighten you, only to make you aware to be safe and take precautions. It is really important if you manage a number of sites for your clients (or yourself), that you have a regular backup schedule to go and update and backup all your sites. For years I booked several hours a week to log into all my sites and update and backup everything. Sometimes when you are busy it is hard to squeeze out that time. This past summer I made the plunge and got myself a myJoomla monthly membership. Holy cow the hours I could have saved if I had done that long before! I log into my account in the morning and it tells me what has to be updated, confirms my scheduled backups are done, runs audits on my sites, what it has updated for me (the main trusted extensions are supported and updates are done within 24 hrs of release), alerts me of down time and so much more. I quickly got a couple of clients signed up for paid maintenance to cover the monthly cost. Also, if you are doing an update it is worthwhile to check that all your extensions have no problems interacting with the update. Remember all your extensions do not remind you at log in. Be sure to check them. Choosing your extensions wisely and from trusted developers with a solid record of keeping their extensions up to date just helps me sleep better at night. Even though Joomla! gives developers advanced notice so they can test their extensions, there are some that have trouble. You may wish to hold off with that update if this is the case or use another extension that does the same job. Often when it is a security update you need to get on it now. Speaking of security updates, how do you keep up to date on the news? If you use Twitter make a point of following the feed for all your extension developers. If you don't use Twitter maybe set up an account for just that? 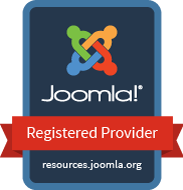 Make a point of including @Joomla in your follows along with your other fav Joomla! social accounts. You will get notice on the @Joomla account of any updates and all the Joomla! news. You can find Joomla! on Facebook, Twitter, G+, LinkedIn, Instagram, and Pinterest. Come and join us! So before you go get that coffee, click your Akeeba Backup and know that your work is safe. Article as published in Joomla Magazine - October 2017 edition. See it there.